Coming this May to the 66th Cannes Film Festival’s Court Métrage, Before the grass grows, a short film that sheds light on the heartbreakingly violent, cruel, and atrocious acts committed by the seemingly heartless soldiers in World War II. During World War II, private conversations of German POW’s were tapped and produced more than 150,000 pages of minutes of those meetings. In Scherer’s latest short, speakers reveal the brutality and atrocities committed by German soldiers while providing a paradoxical opposition when the letters from their loved ones disclose that there is a soul inside the soldiers. Perhaps the most chilling aspect of the documents is how callous the soldiers speak of the executions and, in turn, the letters from their wives and families back home reveal a different side to the soldiers. Though this short doesn’t do justice to its subject matter, it breathes genuine insight into what was once upon a time. 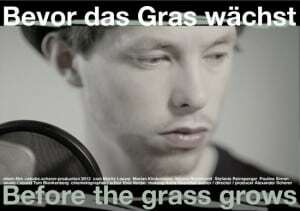 Before the grass grows will be available for viewing to the attendees of the Cannes Film Festival 2013. Scherer will be available for interviews during the festival. Director Alexander Scherer is no stranger to receiving awards for his works throughout the years. 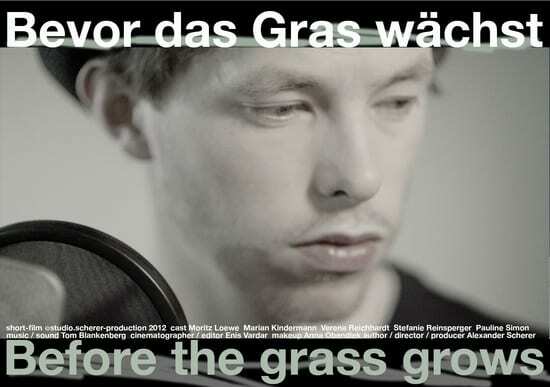 In the past, he has been awarded the Business Film Award of the Federal Republic of Germany, the Industry Award Film Festival Hannover, the Silver Award International Film Festival industry Biaritz, and more recently has gained the title of “Particular Value” for “Bevor das Gras wachst” (Before the grass grows), just to name a few.